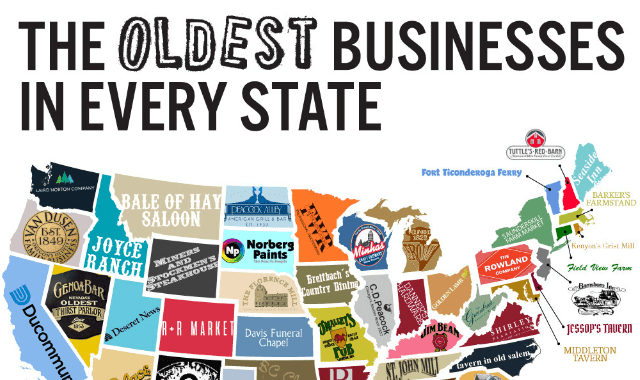 The Oldest Businesses In Every State #Infographic ~ Visualistan '+g+"
As a small, local business, we appreciate legacy. We appreciate businesses that sink their roots into their community and deliver consistent service over decades, and perhaps centuries. It’s no small feat.